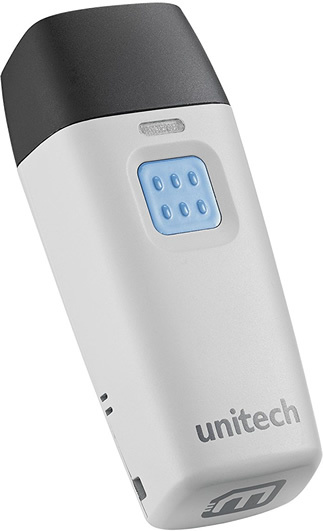 New mini barcode reader MS912 series which is being recognized as the smallest model in its class is released by Unitech. Combining wireless communication and compact design, MS912 series gives mobile worker many places to keep it conveniently and safely while on the go. For maximum flexibility, Unitech also unveils the family model MS912M which is built-in a storage capacity of 2MB memory in case of the data lost issue. The MS912 Series is truly the best choice for any scanning application such as retail, healthcare and office automation.